One of the most enjoyable gardening activities is taking time out from cutting, weeding and mulching to visit a garden well stocked with year-round colour or a flower show, even though the gardens here need to be taken with a pinch of salt. Even more so if you pick a sunny day and add the chance to buy one or two of the plants you see. There is much to be learned and inspiration to be gained from Other People’s Gardens and here are my thoughts to help you get the best from your garden visits this summer . Much of the fun is in discovering unfamiliar plants and of course you need to record the name. Common names may be easy to remember but are not unambiguous: several completely different plants are called ‘Harebells’ and some common names are less obvious than the Botanical ones! Remember too that you will need all parts of the name to ensure that you get the right plant later. The traditional notebook works well to record plants as long as you write enough to recognise the plant (and why you liked it so much) back at home. Digital cameras and camera-phones are the ideal tool especially if you photograph the plant and then take a close up with the label included. Take a moment to identify why you like a particular plant. This will help you to refine your own gardening taste as well as making sure that you are not disappointed when you plant one in your own garden. 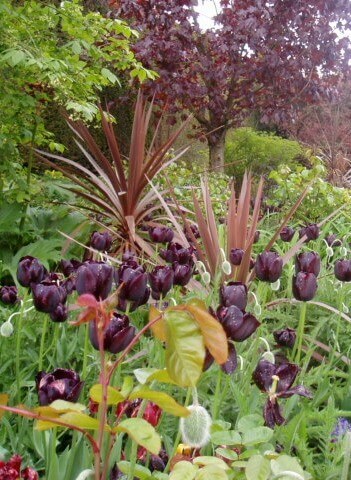 The setting and especially its neighbours makes a big difference to the impact a plant makes. Finally, be aware of the differences between your own garden and the one you are visiting because not every plant suits every garden. Take account of scale, soil and maintenance requirements. Ours is a very diverse area geologically and soil type changes from chalk to clay to sand over a few miles. So now you have ‘horticultural research’ as a reason to stop weeding or mowing for just one afternoon but you will still have to find your own excuse for sampling the homemade cakes!